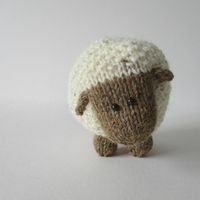 Moss the Sheep knitting pattern is the cutest pattern for Easter! Find the pattern by Amanda Berry at LoveKnitting. The waffle stitch is a particular favorite because it has a really cool texture that looks and feels good.